Rooms with 1 Queen bed or 2 twin beds available. 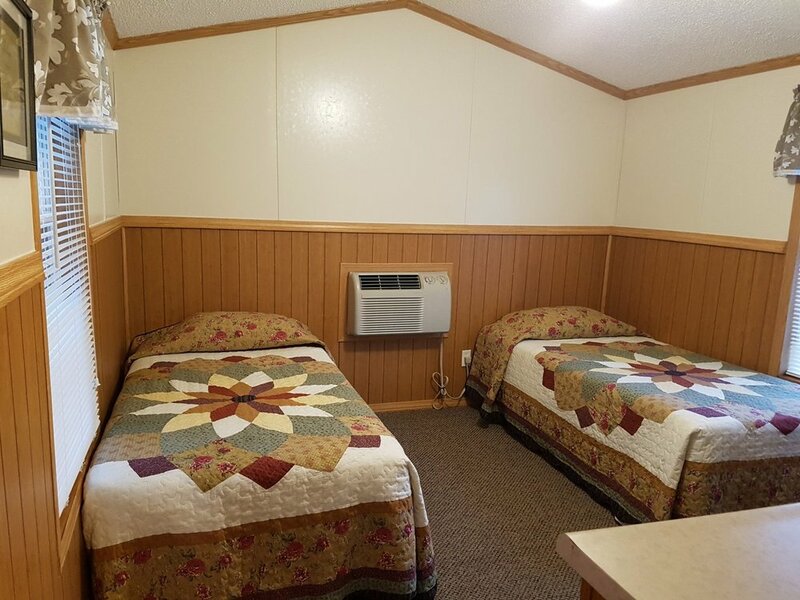 Located in the Patoka Lodging complex, across the street from Patoka Station. If you are in the market for a nice clean room with the basic amenities then this will be perfect for you. Save $10 if you book midweek. Stay longer and you can save even more (see specials deals). Two rooms housed in a building, each with a covered front porch with chairs. Some Rooms have 1 Queen bed. Some Rooms have 2 twin beds. Each Room contains a mini fridge, microwave and coffee maker. Each Room has its own full bathroom with tub/shower combo and hair dryer.